I’ve never tasted tomato chutney of any kind and yours has me interested. Unfortunately, there’ll be no green tomatoes around here for months to come. This just gives me another reason to anticipate Summer! 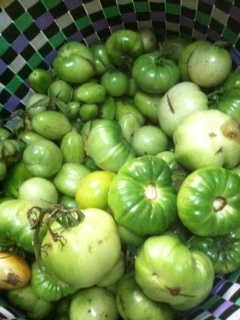 My mother just harvested the last of her green tomatoes. Will pass your recipe on! So glad to hear both that there are green tomatoes still out there (we were pretty late in gathering ours) and that the recipe will travel. Thanks! 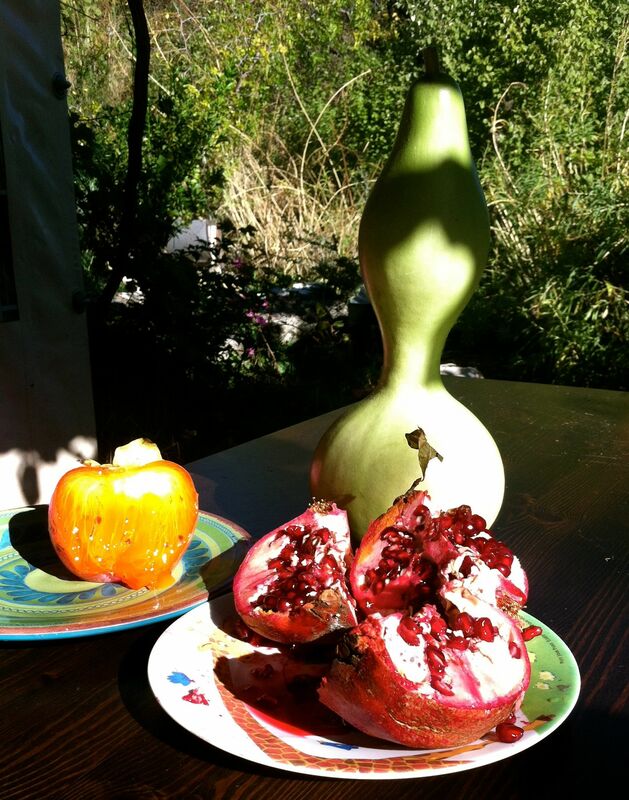 I have been looking for a good pickled, green tomato recipe–and you have gourds! Enjoy the fruits of your (and Mom’s) labor! Funny, but I was thinking the same thing while hauling all of those green tomatoes around! Your chutney and pickled tomatoes will have you remembering your wonderful garden for a long time. How nice that your mother did all the work for you. Yes, and yes! Thank goodness for moms with helping hands. 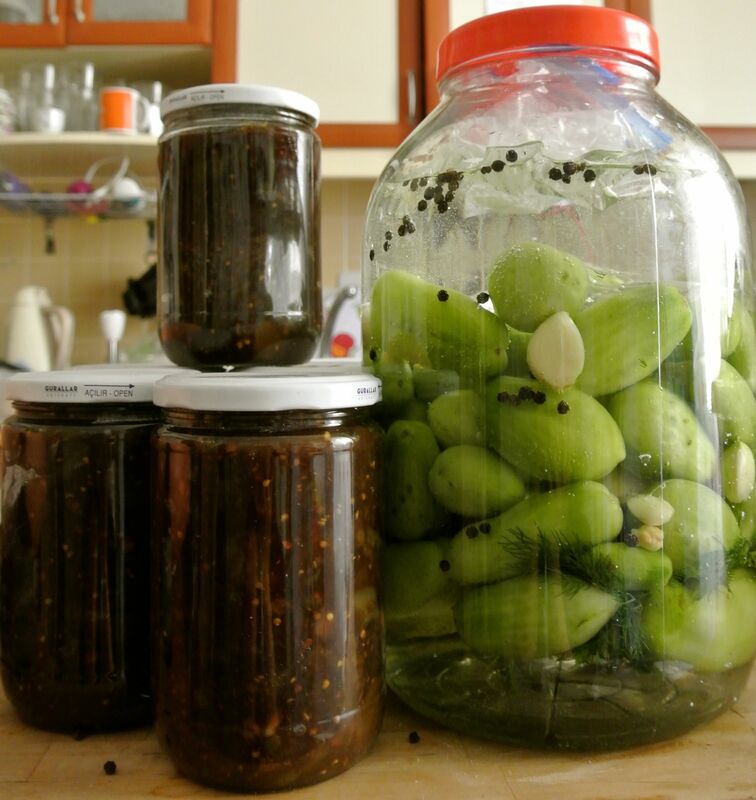 Is the chick peas you put in the green tomato pickle dried or cooked? What does it do for the pickle? That is such a good question! The chickpeas are dry, uncooked ones and what they do is get the fermentation going. What a great idea. Looks wonderful!